Home » Latest » Junior Cycle » Planning for the Junior Cycle Geography Specification – Ready, Get Set,…..
Planning for the Junior Cycle Geography Specification – Ready, Get Set,….. The new Junior Cycle Specification contains a *small* number of changes in content between the old syllabus and the new. This is a link to the final, official version of the Specification. There is much less on climates (unless your class would like to go into more detail on them). There is less on urban settlement (unless your class would like to go into more detail), the old population case studies are gone, but not the ideas behind them (unless you class would….you get the picture). There is nothing on the EU (although there are places where you could work it in). New additions include a little bit on natural disasters (but not much more than you were already doing), a little bit on globalisation, a little bit more climate change (but again, not much more than you were doing). And of course, there are the CBAs. One BIG change is that there are no prescribed case studies. You will still use case studies, but they will be ones you choose. However, the Learning Outcomes contain expressed and implied content. So, for example, students must study human interaction with earthquakes but you get to decide which examples (cases studies) they use to illustrate the Learning Outcome. There is very little change to teaching. It is really not very different from what I know most teachers were already doing in the classroom. In terms of actual teaching, the Inspectorate is now talking about *learning and teaching* rather than *teaching and learning*. Let me leave that with you. The emphasis is on what the students are *doing* in the classroom to learn and less about what you are teaching them to learn. This is where the Active Methodologies come in. But again, every teacher I know is already using active methodologies in the classroom. The change here is really that there will be more times when the teaching is in the follow up after the Active Methodologies. In fact, if you read the guidelines to the old Junior Cycle Geography, this is exactly what we were supposed to be doing anyway. To answer one question in our recent survey, you will find that you will be able to use most of your existing resources. So Virginia, not much change in the day-to-day classroom gig you routinely pop out for your beloved. on connecting the planning through the learning all the way to the assessment of that learning. Research by Dylan Wiliam and others identified that students learn best what the learning has been made explicit for them. Instead of them, and you, ‘waiting for the penny to drop’ with them, providing students with guidance about what it is they should be learning in the lesson (learning intentions), has been shown to improve outcomes. In addition to this, giving student the success criteria – the things they need to do to show they have achieved the learning intentions – and the standard the need to achieve, also improves outcomes. 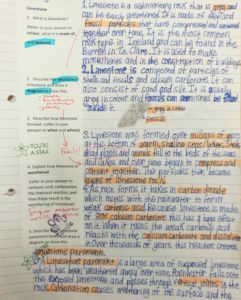 The NCCA will, during the course of the first 3 years of the new Junior Cycle Geography, publish examples of student work of varying standard to show how students achieved various success criteria. I recently posted on Facebook some ‘structure strips’ on limestone landscapes which I gave to my students. In every single instance, it improved the work of the students both in content and quality. Basically, I made the success criteria explicit and all student had to do was to ‘tick the boxes’ on the key learning in the topic. Feedback showed them where they had left out parts of the answer. In terms of planning, teachers are being asked to produce, collaboratively in their geography departments, things called Units of Work. A Unit of work is a set of ‘learning experiences‘ through which your students experience the Specification. What this means is that you and your department construct a plan for how you and your colleagues will move students through the Specification so that they successfully achieve each of the Learning Outcomes in the Specification (just ignoring the CBAs here for convenience). Each Unit of work will contain Learning Outcomes from the Specification. While the Units you develop are up to your department, the JCT are recommending no more than three Learning Outcomes per Unit of Work. Your department might think one Learning Outcome per Unit of Work is enough at a particular point in time, or for a particular cohort. What is important, and I think you can safely quote me on this, is that your department has collaboratively decided a plan and have a rationale for that plan. Add to that, much is being made of teacher autonomy on the new Junior Cycle. These are the expressed content of the LO. However, there is no explicit mention of convection currents. Now, of course you could argue that in teaching plate tectonics you would naturally include convection currents. That is the point – some content is implied and is down to how you and your department unpacks the Learning Outcomes. Obviously there is a limit to this, and we will not see a sample exam paper until Year 3 so it is hard to know exactly what role subject content knowledge will play in the exam other than it has to be there is some form. Ignoring the tautology, action verbs are really a big chunk of what the Junior Cycle is about. Arguably, you could just teach the 16 or so action verbs that appear in the geography specification and you’re done! However, your students might get bored with doing another class of ‘describe’. Instead, you get to illuminate the action verbs with the geography content because we’re teaching geography after all! So check the definitions of the action verbs at the back of the specification. There is an error in the list of action verbs in the Specification (and other Specifications also) but nothing to be concerned about). But expect the action verbs to play a role in assessment when it comes from the NCCA. Once you and your department has satisfied itself with just what it is you should be teaching according to the Specification, you can set about planning your Units of Work. I’ve set out below what a typical unit might look like. Obviously it needs to be populated. Head on over the the JCT for Geography Twitter feed for some samples from around the country. You’ll notice I haven’t made any mention of Wellbeing. Wellbeing is not just a subject in the Junior Cycle, it is meant to permeate every subject. You will need to plan for how you will incorporate Wellbeing into your learning and teaching. Comments, questions, queries below on the Facebook comment section. 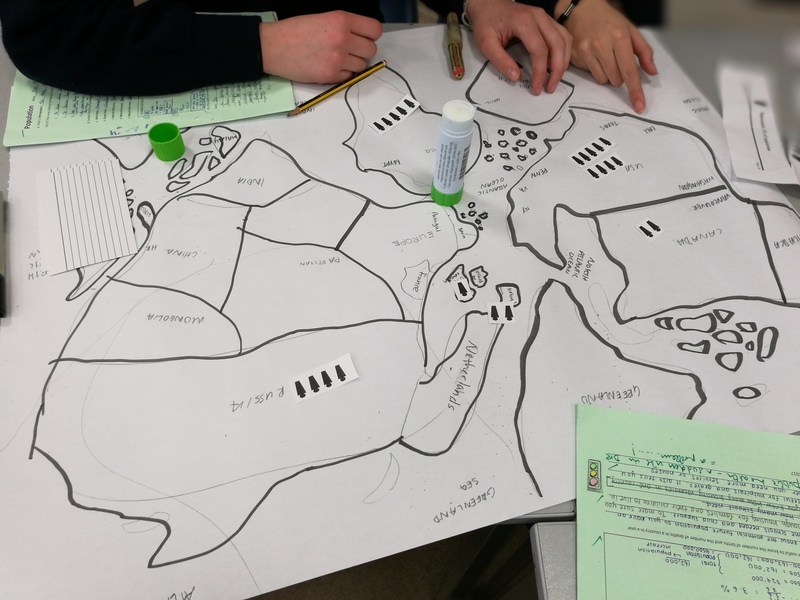 A unit of work is the basis for delivering the Junior Cycle Geography Specification in the classroom. It is a set of learning experiences for your students as you progress them through the Specification. · Use approximately three. Four is too many. 1*, 2, or 3 is fine – it depends on your cohort and your level of comfort. · According to the Specification, each LO lasts the 3 years of the Junior Cycle. Logically, so does each Unit of Work. So, if you use 3 LOs in a Unit, you could teach one of the LOs now and another later. It really depends on how you (and your Geography Department) construct your Units. *3 is the recommended number of LOs. Whether you use 3 or less depends on how you unpack the Learning Outcomes. Some LOs unpack into a few topics and are enough to make a Unit of Work in themselves. · The key point is, you and your department have the autonomy to teach the LOs anyway that makes sense in your teaching. · Take these from the Learning Outcomes in 2 above. · Don’t rely on old definitions of “describe”, “explain” etc. Read the definitions for the Action Verbs at the back of the Specification. · Learning Intentions are what you want the students to learn during the Unit of Work. 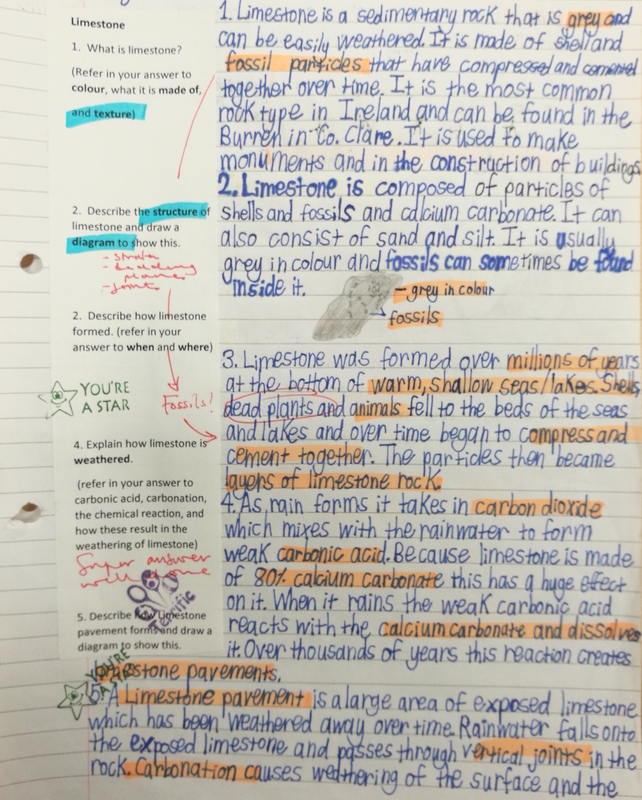 · Success Criteria are what the students need to do to demonstrate they have fulfilled the Learning Intentions. · Assessment for Learning is an important tool for you here. 5. Identify the Elements · There are 3 Elements which unpack into 7 components. · The Specification states that the Elements are the ‘lens’ through which students will experience the Learning Outcomes. However, this is not developed in detail in the Specification. In reality, approaching each LO from the perspective of each element means you would only ever have 7 types of classes and things would get boring very quickly. That, and some students will not ready to grasp the concepts from the beginning part of an LO. · In this case, it will often make more sense for the lesson to highlight the Elements either through the Active Methodologies or through a plenary. 6. Identify the Geoliteracy components · Geoliteracy at its most basic is why a student is learning a Unit, LO or topic. It is about the relevance of Geography to a student. · More formally, it is made up of the three I’s – Interactions, Interconnections, Implications. · Interactions are about the systems in a place – about how different things interact (volcanoes produce volcanic soil which are good for farming). Interconnections are about the links between places (burning fossils fuels in France produces acid rain in Sweden) – but it can be extended to other connections. Implications are mostly about the consequences of human actions. Implications is the most important component of GeolIteracy. The original idea as expressed by Daniel Edelson, who Vice President for Education of the National Geographic’ Society in the USA, was that if student learned about their impact on the world, they could make better far-reaching decisions about their actions. So, students would stop using single-use plastic straws because they end up in the ocean and harm wildlife, for example. Implications is a very broad concept in this context. It could extend to where a person chooses to live, work, what they eat etc. · Geoliteracy in the Specification, is NOT geography keywords (alone). · You should aim to have a Key Skill in every lesson. 8. Reflection · Students should have the opportunity to reflect on their learning. This is an important part of learning to learn. · Consider where in the Unit, and how, will students reflect on their learning. 9. Assessment · As mentioned in 4 above, you have to determine whether and to what extent a student has achieved the Learning Outcomes. You can use a variety of assessment processes to do this. Assessment for Learning will be an important one of those processes. Students should know the wellbeing indicators. This is in line with research which shows student learning improves when learning is made explicit. The same point applies to key skills. Every lesson should reference key skills. In some cases, you will embed key skills in the actual topic you are teaching. But again, in making the learning explicit, outcomes improve. So students should know what key skill they are using when learning. We’ve had a few questions on the CBAs from teachers. All we have to go on is what is in the Specification. The CBAs are “Geography in the News” (based on a recent news event) and “My Geography” (based on a “local Study” – which could also include a field trip). These will be assessed through the lens of the Specification elements. However, before that happens, the CBA criteria have to be developed. This has not happened yet as the Subject Development Group has not met to discuss assessment. When we have more information we will post it on this page. So were very much in the dark as to how these will look. This is important as the structure of the CBAs will determine the assessment for the new reporting guidelines, and then in year three, for the Assessment Task. But again, even here, no one knows what this will look like. Reflection is an important aspect of the new JC framework. We have no idea what the final Junior Cycle examination will look like. A sample paper will not be available until Christmas of Year 3. However, it is instructive to look at the English examination from 2017 and the Chief Examiners report on this. While it is hard to judge by this, it will give something of an idea of the change in the nature of the exam. bear in mind of course, there was never meant to be an exam for the Junior Cycle. Another new aspect of the JC programme is an effort to get teachers to plan and work more collaboratively. There are quite a few schools around the country where individual teachers do ‘their own thing’ so students in different classes might be working on completely different topics and have completely different end-of-term exams to other students. Under the new JC, geography teachers are expected to plan their course collaboratively. Equally important, is when the CBA assessment procedures eventually become available, teachers will be assessing them after a Subject Learning and Assessment Review (format to be decided also!). These SLAR meetings are specifically intended to be collaborative. The point about all this is the Inspectorate will presumably look for evidence of collaborative practice within a subject department. So there. If you have any questions on the Specification drop an email to peterlydon.agti@gmail.com and we share answers here or (depending on the number) on a separate FAQ page. 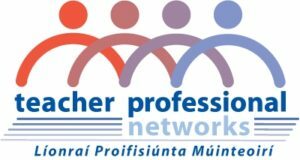 This site is part-funded by the Teacher Professional Networks.